Route 66 and budget might not be two words that seem like they belong together, but actually I think that they should. 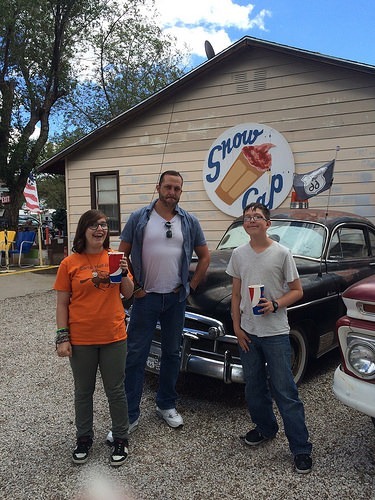 We had a great time driving Route 66 on a budget and wanted to share some of our tips for doing so. We always travel on a pretty tight budget and although it was a trip of a lifetime, habits die hard and we still managed to keep a tight hold on the purse strings while out in the United States. I’ve finally managed to tally up our costs for this trips so if you’re looking for actual numbers on how much Route 66 costs to drive then head to the bottom of this post for that. We were coming from the UK so needed to rent a car for the duration of our road trip. There’s so much choice available but we ended up going through Avis as they had a deal with our flights. One thing to bear in mind, and we did a lot of checking before we booked, is the one way fee that is often imposed if you start renting in one state and end in another. We started in Texas and finished in Nevada and paid a fee that was definitely better than having to do the return journey! Something to check at least as all companies differ. If you want to check out different companies and compare prices I can also recommend RentalCars.com which compare lots of rental services in one place. Accommodation is plentiful and as always in the USA rooms can normally fit four people in 2 double beds. Now this isn’t perfect when travelling with teens, but for short term trips it’s ok with some pillows to divide the bed! It’s much better than needing two rooms and keeps costs down per head. One of the nice things about travelling Route 66 is the fact that you don’t always have to be in faceless chain hotels and there are a lot of independently owned ‘Mom and Pop’ motels to be found. Now some aren’t as great as others so I’d advise to either check out rooms before you take them or read online for travel reviews. We went for a mix of both chains and ‘mom and pop’ motels and there are pros and cons to each of them. Can be quirky inside, outside and even right down to the owners! Not always available online through booking sites. 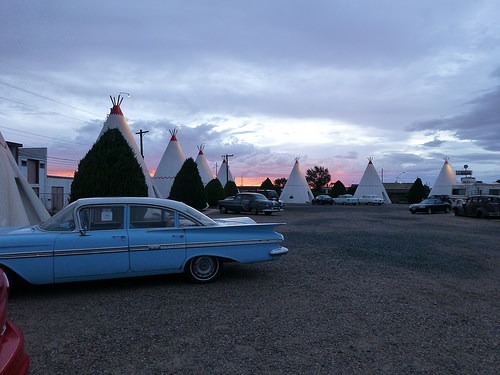 Sometimes you can book direct if you search for the motel as we did with the Wigwam Motel in Holbrook. Food isn’t always included but prices can reflect this. Read more – our guide to the best historic hotels on Route 66 which you should definitely not miss! My top tip? Decide if there’s any motels you really want to stay at – for us it was the wigwams and make sure you book those in advance if you can. For all the others check out reviews on places like TripAdvisor and then look at booking engines like Hotels Combined for the best prices. As I said, the iconic motels aren’t always the cheapest. 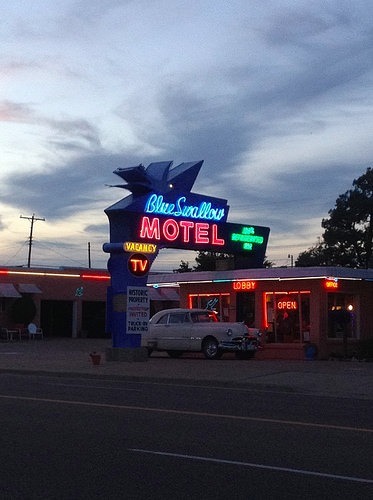 For example in Tucumcari, NM which is well known for the Blue Swallow Motel we decided to stay just across the road at Motel Safari where it had a great vibe, lovely neon lights too and was much cheaper. We still got the benefit of being able to see the Blue Swallow Motel all lit up as well. Some things just have to be done and we stayed in the Wigwam Motel at Holbrook, AZ. It was actually the cheapest night we had on the road even though it’s an icon, but inside you could see why – it was a bit shabby inside and showing its age. Had to be done though and it was worth it to get that feel of the old road. We always looked ahead to where we thought we’d stay and booked online. You could just turn up and see if you can get better rates, but we like to have everything sorted in advance so always took that route. I like to use HotelsCombined as it scans all the big booking sites and so got us the best rates. 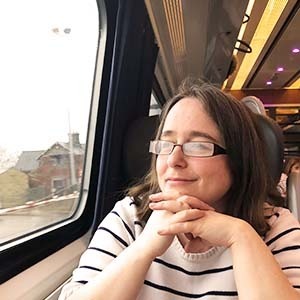 We also didn’t stay in any of the big cities along the route – staying there can possibly bump up your hotel budget a lot. Of course if you’re planning to do the whole route then staying at the starting point in Chicago and ending in Los Angeles won’t be an option to leave out. Just be aware that these places can be a bit more expensive and to remember that parking can cost a bit more too. 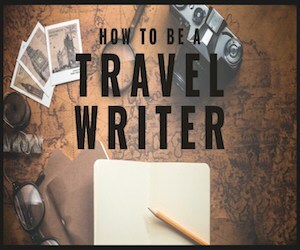 If you’re worried about internet access while away and still knowing where to stay then I recommend getting a guide book that you can keep in the car. Make sure it’s as up to date as you can get. A guide like this one is ideal. Read more – We have a full post about the best guidebooks and maps for Route 66 here. Another tip is to have some plastic bowls and spoons with you and then you can buy some cereal and milk – great for when breakfast isn’t provided or just for a snack later in the day. To be honest, we sometimes didn’t fancy breakfast out in a restaurant so this gave us a good cheap option. We visited supermarkets for lunch mostly and to stock up on snacks. 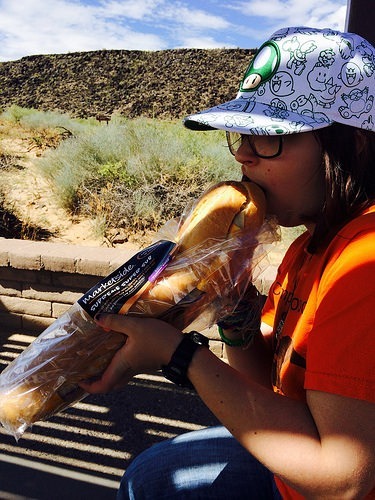 Often we’d buy large sandwiches that each would fill up at least 3 of us! Having snacks for the road is important to keep costs down and avoid that slump when all you want is a treat to keep you going – we tried to have fruit and crisps (chips) in the car as well as drinks. We did support local businesses and had ice creams every so often (it was so hot – we had to!). We found that the US was really inexpensive in this respect. We often ate out on Route 66 just because it was more convenient for us as we never had food preparing facilities in our accommodation. Again, we found that eating out was still not that expensive, even for our main meal in the evening and so was not a huge expense. As we don’t really eat out often it was quite a change for us! 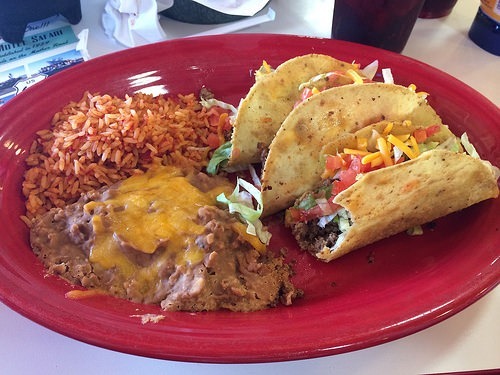 We looked for small locally owned restaurants and always had positive experiences there. To keep costs down, have a think before going about which Route 66 attractions you’d like to do and see. Most places have websites now so check prices before getting there. There’s nothing worse than arriving and finding out it was more than you budgeted, especially if you’ve driven out of the way to get there! A lot of the attraction of Route 66 is quirkiness. From giant roadside animals, to the oversize cross, so much is just there to be experienced, photographed and looked at. 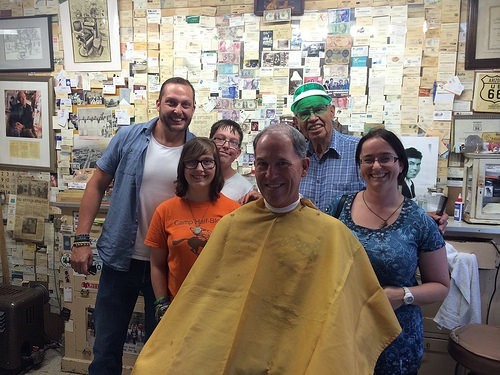 The people also make the road an amazing place – we enjoyed having a chat with Angel who we had seen on the extras of the ‘Cars’ dvd and knew had been influential in getting route 66 back in the hearts and minds of travellers again. Some of the towns were just lovely to walk around and explore which is nice and free- we particularly liked Tucumcari which had lots of murals on the walls and Williams was really nice and had a lovely feel to it too. Seligman is definitely not one to be missed with loads of old cars and nice souvenir shops to look around. 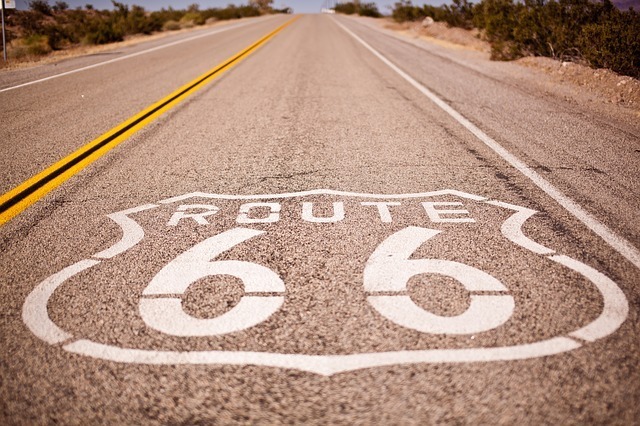 Some attractions are a little off Route 66 so bear that in mind with your costings (fuel) and also timings. We were tempted to try and include a trip to see Monument Valley in Utah but the driving time was just too much and we thought we’d end up being too tired. We took advantage of nature lots and did lots of the state parks which are generally good value days out – I’m still shocked at it only being $25 for us all to see the Grand Canyon! 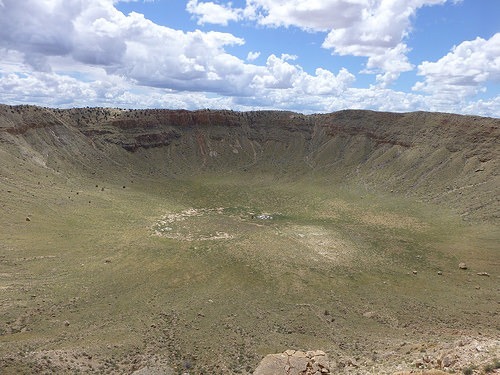 If you’re doing a lot of state parks then a pass is generally recommended – we didn’t really need to do this as it wasn’t cost effective for our small portion of Route 66. Overall Route 66 can be as expensive or as cheap as you want it to be. The cheapest way to do Route 66 is definitely mom & pop motels, eating out of a supermarket/grocery store and doing no paid attractions. That’s not always fun though so if you can add in some of the local places to eat on the road – they’re still fairly cheap and you add in such a nice stop. I think even without trying it should be possible to keep to a tight budget if you take advantage of these ideas. I hope you find these tips useful if you’re taking a road trip on Route 66 in the near future. 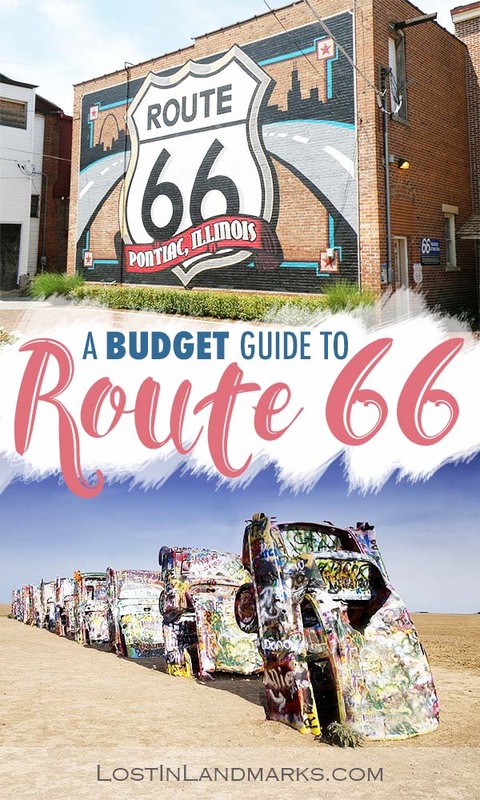 Read more – Need more help planning your Route 66 trip? Our ultimate Route 66 Planner is here! 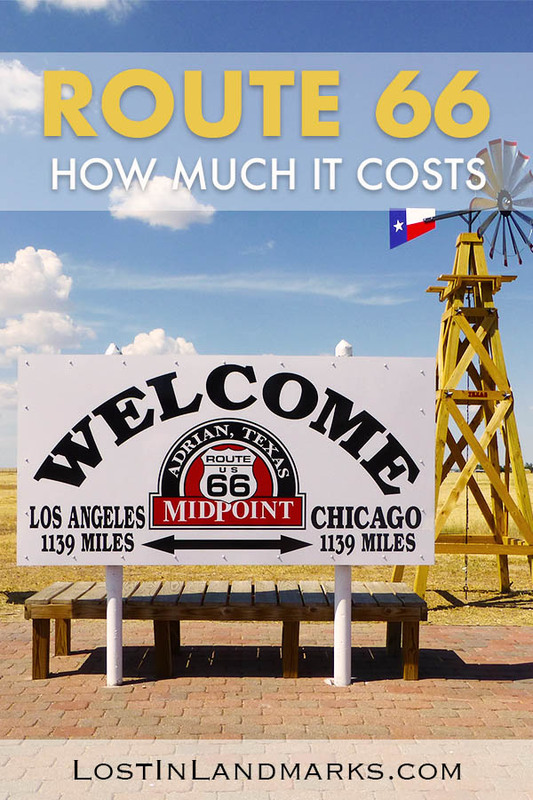 How much does it cost to drive Route 66? Food – Meals out were around $60 for the four of us, really reasonable. Sometimes we’d just have breakfasts out if we were getting fed up of restaurants and they were always less than $30 for the four of us. Ok, let’s break down those figures a little bit more. Flights were a big cost for us. We flew from Manchester, UK to Dallas Fort Worth and returned from Las Vegas. Our dates were fairly fixed so we didn’t have a lot of wiggle room for getting better deals. If you can be flexible then you’ll likely get cheaper flights out there. I always check Skyscanner and often set up alerts to get the best deals when they’re released. Car Rental was again a big portion. We went with a deal our airline (British Airways) had on and we were pleasantly surprised that there were no extra add ons once there. I’d heard horror stories! If your price is a lot less than this then do check that you’re not going to be charged for anything extra at the airport. Our offer included an extra driver, the one way drop off fee and our insurance and we also got some extra Avios (air miles) included too. RentalCars.com is a good site to check lots of companies at once. Hotels – I only included our Route 66 hotels and motels here, so 7 nights worth. When we stayed in chains it actually bumped the prices up, even if it did include breakfast. Locally owned places are the way to go! Fuel – This is a bit of an approximation as we did have driving either side of Route 66 and I didn’t include any fuel stops from those times. We often bought snacks here too! Overall the fuel wasn’t too expensive on the road and we normally filled up when possible so we didn’t get caught out. Attractions – There were only a couple in the category with us preferring cheaper options and free things! Food – I’m always surprised at how cheap the US is for eating out. We did a mix of meals and supermarkets but really you could eat out all day and keep to a good budget. Sundries – not included was things we spent cash for, souvenirs and random spending. No-one needs to know about the random stuff I brought home with me! Finding the Mother Road and our journey on Route 66 begins! Happy memories of scooping hummus out of tubs in seedy motels up and down the East and West coasts. Yep, motels can be as low as $40/night for a family, with a very crappy breakfast. Lots of fun over there, the kids are itching to go back again…4th time! I read your comment so early this morning and thought you said humans instead of hummus!! Oops 😉 yeah definitely a good budget choice for families!